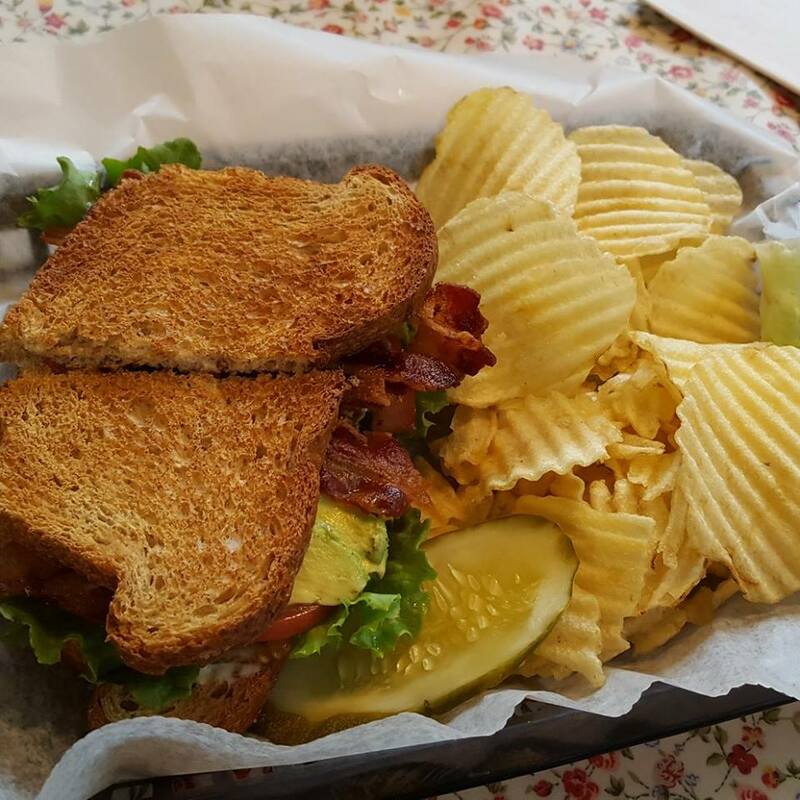 The BLAT: bacon, lettuce, avocado, tomato. As I stated earlier today, I have been coming to Peddler’s Village since I was a child. I have been to several of their restaurants, most of which have been lackluster. However, there is one place which has been in business forever and is off the beaten path. I tried it for the first time this summer. It is Nancy’s Village Cafe, and it is not located in the main area of the shopping complex. Instead, it is across the street, and almost hidden unless you were looking for it. I had walked by it many times, never bothering to give it a try. But after several average or sub-par dining experiences over the years, I wanted to check it out. I went with a friend, his mother, and brother. Immediately we were struck by how affordable the prices were. It seemed to be an old-fashioned neighborhood eatery, even though it is technically located within the massive tourist attraction. When you first walk in, there is the grill, and then a charming section of seats on the right side. Sandwiches for $7 or less? Yes, please. I ordered the BLAT, which is your usual BLT only they add avocado to it. The bacon was nice and crispy, the bread toasted to perfection, and just the right amount of avocado and mayo. The creaminess of these two items worked well with the crispness of the bacon, and the sandwich did not fall apart, as BLT’s often do when you start to bite into them. My friend had a black bean burger wrap (which I did not try; he loved it), while his mother got the Reuben. We immediately swapped bites, which then led to us sharing the whole halves of our respective sandwiches. 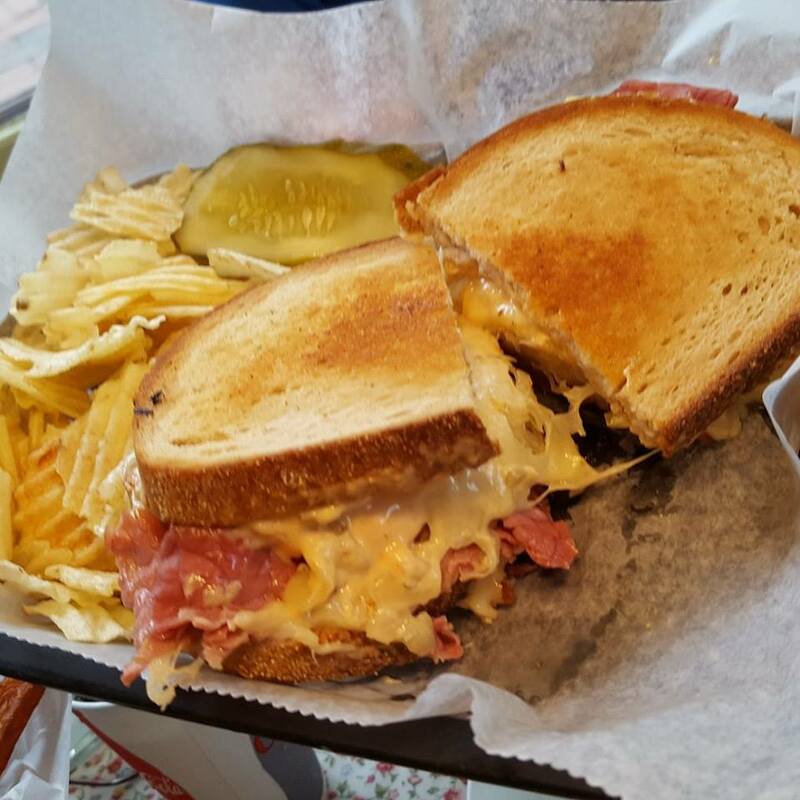 As is often the case when I dine with people and end up sharing, I liked her Reuben more than my own meal. It may be the best I have ever had. The corned beef was lean, there was only a little bit of sauerkraut, and combination of cheese and dressing added a guilty amount of flavor and texture. Yes, out of the many Reubens I have had and made myself over the years, this was the best. His brother ordered what the go-to of any teenage boy is in an unfamiliar restaurant: chicken fingers. I didn’t need to try those. All sandwiches came with complimentary chips and a pickle. 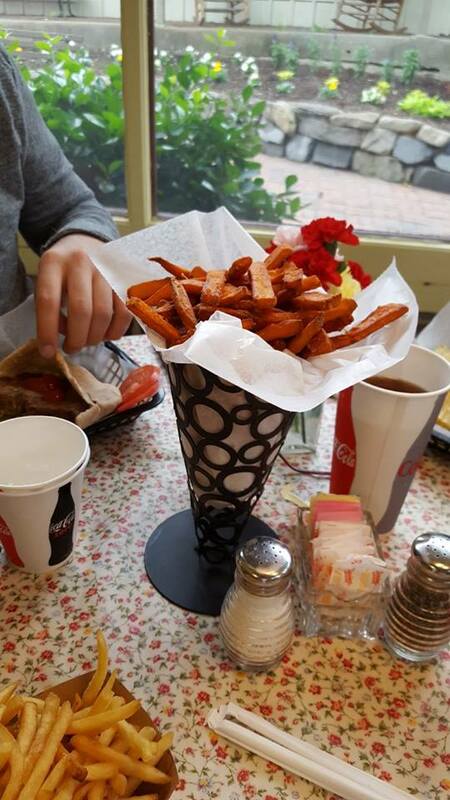 On the side, we got shoestring fries and a “cone” of sweet potato fries. Both came unseasoned, which was fine, since we could just add our own salt and pepper, though I can imagine some people being annoyed by this. The waitress was also very friendly, and the staff was all smiles. The only downside, and this is a slight one, was the wait time. Because they only had one person cooking, it took a little longer than you would expect from a sandwich shop to get your food. We weren’t in a rush, so it didn’t matter. Again, just something I can envision people becoming annoyed with. I am going to give Nancy’s 4 out of 5 stars. I was impressed by the food and a bit upset I had not tried it sooner. I’ve never been to a luncheonette of yesteryear, but I can imagine it feeling just like this place. This post was originally published here. Nancy’s Village Cafe is located at Courtyard Store 7, Peddler’s Village in Lahaska, Pennsylvania.